Episode 73: Drive In Massacre! This time Dana and Steve go to Shelbyville IN to the Skyline Drive IN for the Pandemonium Picture Show. we got to see CHOPPING MALL, SuperVixen, and Werewovles on Wheels plus more stuff! Episode 1: A New Beginning! It's been a long time since we rock and rolled, close to 10 months to be exact. But just when you think its over, a new beginning arises. 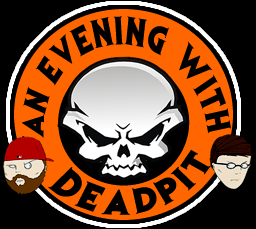 Please join CK and Uncle Bill in the debut episode of 'An Evening With Deadpit'. 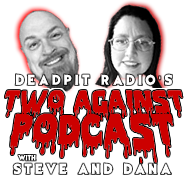 In episode 1 we go through all of the happenings in the world of horror and entertainment since the DEADPIT Radio show ended including: The Death of Fangoria Magazine, The rebirth of Vestron Video, Scarefest 2016, the wrestling world and much much more. So listen up, and keep on listening to the first of many episodes of 'An Evening With DEADPIT', only here at http://www.deadpit.com ! 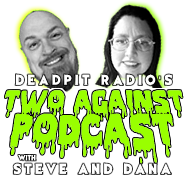 Episode 72: Rob Zombies Halloween! This time Dana and Steve watch rob zombie's remake and count the convention all stars that show up. Lets make fun of this crappy poopoo! !